Clean lines and the latest LED light guide technology combined in the modern Tenur Round 10 ceiling light from Tech Lighting. 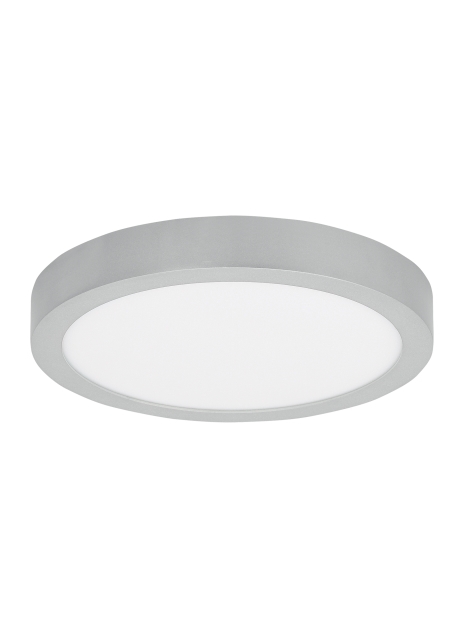 The entire round surface illuminates evenly and dims beautifully yet is an ultra-slim 2” deep. The Tenur family includes two contemporary finishes, White and Silver and is offered as square or round flush mounts. The round flush mounts are available as 10" and 12" diameter and the square flush mounts are available in 9" width and 12" width. The variety of size and shape options make the Tenur flush mount a great option for a variety of spaces. Available in 120v and 277v. LED includes 30 watt 1300 delivered lumens 90 CRI 3000K LED module. Dimmable with most LED compatible ELV and TRIAC dimmers. 277V compatible with 0-10V dimmers. Mounts on wall or ceiling. ADA compliant. Offered in two finishes (white and silver) and two shapes (round and square). Multiple sizes available. Mounts on wall or ceiling.